The month of July is recognised as the holiday season and the start of what can be, to many parents, a stressful time during the children’s school break. Holidays are meant to be a relaxing and happy time to be spent away from the mundane realities of daily life such as work and home. This in itself can cause additional stress and anxiety as we often put greater expectations on ourselves and those around us during this time. 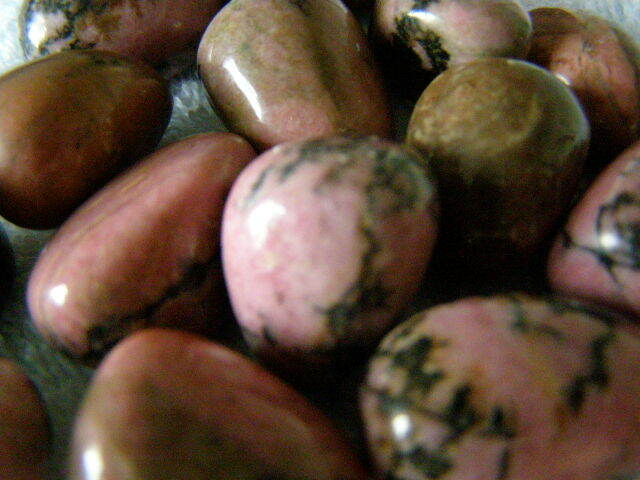 That is why Rhodonite has been highlighted for the month of July. It is known as a ‘first aid gem’ as it helps to balance out the emotions along with soothing an often jangled nervous system. This gemstone vibrates with so much love that sometimes just holding it allows relaxation to flow to us and brings a deep sense of total well-being. Rhodonite helps us to realise we need to respect ourselves and to know our limitations, also to become aware that everyone in our circle of family and friends have their own limitations too. We must always remember that no matter what is going on around us, we are always aware of how amazing we really are. As Rhodonite is one of the many love stones it can help when dealing with stressful problems within any of our relationships. It has the ability to show us both sides of an issue. Thereby helping to forgive those who have wronged us and most importantly how to forgive ourselves. It not only makes us aware of the love that is around us but how deeply loved we truly are. The colours found in Rhodonite range from a light pink to dark red and often include brown-red, green, yellow and black veins. A greater variety in colour is available as it is a common crystal mined in many countries throughout the world. Talking of holidays and first aid, this gemstone is an excellent wound healer and gives a wonderful relief to insect bites. It reduces swelling, itching and any scarring. It is suggested that holding the stone over the sight brings relief both internally and externally. All crystal collections should include Rhodonite as it is so helpful in reducing our stress levels. 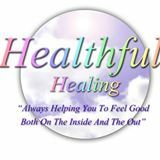 If you would like to enjoy the benefits of a personal one to one crystal healing then please email me on healthful.healing@yahoo.co.uk or telephone 07736929614.